Cemen Tech’s Support Team is comprised of some of the most knowledgeable men in the volumetric mixing industry. Our team has over 100 years’ experience between them. In addition to having an experienced team, Cemen Tech and their worldwide network of Authorized Dealers have the largest parts inventory in the industry. If you have a problem with your mixer, our helpful, knowledgeable staff is available to get your mixer back up and running as quickly as possible. 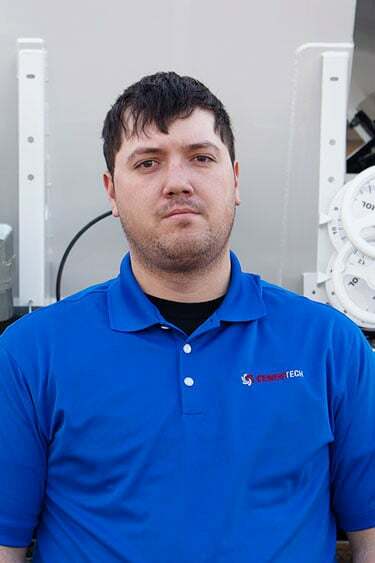 TJ joined Cemen Tech in September 2018 and brings eight years of semi-truck experience to the team. He studied at Des Moines Area Community College and currently lives in Milo with his wife. 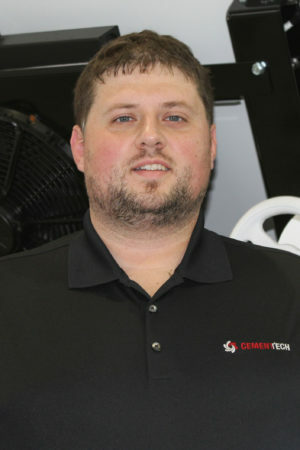 Shawn joined the Cemen Tech Service team in 2000. 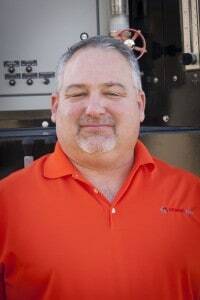 While at Cemen Tech he has worked in both the production and service departments. 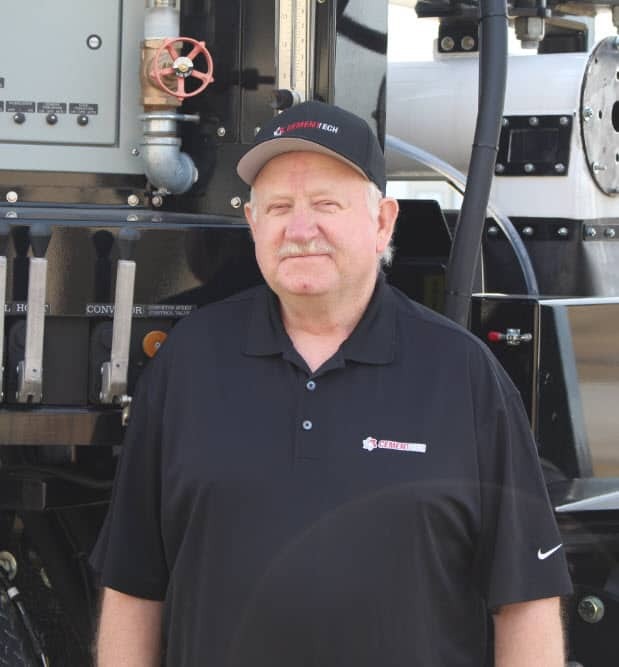 As a Senior Service Technician, Shawn has traveled to multiple foreign countries helping train owners on how to operate their Cemen Tech mixers. In Shawn’s free time, he enjoys hunting, golfing, reading and watching movies. Shawn and his wife are the parents of three adult children. 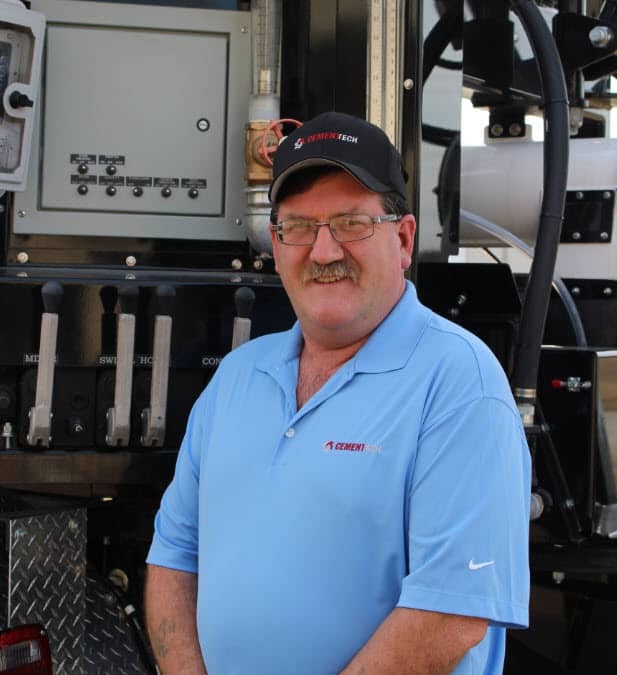 Jim Bishop joined the Cemen Tech team in 2012 and has worked as a member of the Rebuild and Service Teams. When asked what he enjoys most about being part of the Cemen Tech team Jim responded, “working with the employee owners at a company that produces excellent, innovative equipment that is used around the world.” In Jim’s free time he enjoys camping, hunting and fishing and spending time with his wife, 3 children, 3 dogs and 2 turtles. Kevin joined Cemen Tech in January 2002. 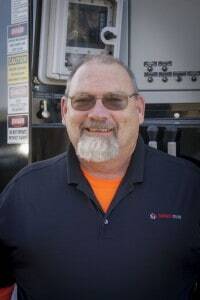 He has worked in multiple departments during his time at Cemen Tech including Shipping and Receiving, Parts, and Service. In his free time Kevin enjoys hunting and fishing. He also farms part-time. Kevin and his wife have 5 children. Tyler joined Cemen Tech in the fall of 2016 as a member of the Customer Support team. Married 35 years, Tyler grew up on a ranch in the mountains of Colorado and moved back to Iowa to work with his father turning a family farm into a housing development near Des Moines. He enjoys traveling to customer sites doing start ups and education about volumetric mixers. Bill joined Cemen Tech in January of 1997. He spent 8 years in shipping and receiving before moving into the office as a parts specialist. Bill has been married to his wife Susan for 20 years. Together they have 5 children. When Bill isn’t at Cemen Tech he spends his time hunting, fishing, and working on his farm. He also enjoys traveling with his wife. 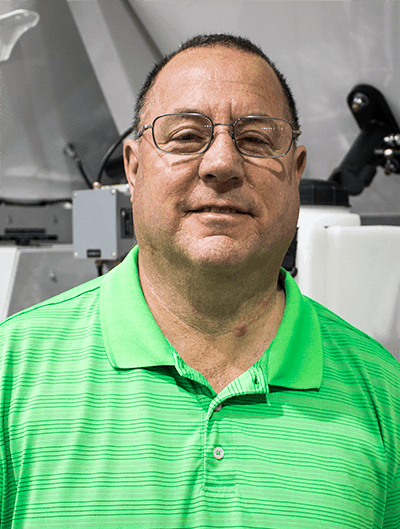 Robin joined Cemen Tech in March of 2015 in the assembly area working on hydraulic systems. From there he moved to Rebuild to help serve the company better. Robin and his wife Stephanie reside in New Virginia, Iowa with their 3 dogs and close family. He is the father of 3 and grandfather of 5. In his free time Robin enjoys building with wood and steel, horseback riding and hunting Iowa white tail deer. Debbie joined Cemen Tech in August 2017 from Kemin Food Technologies where she was a Senior Customer Service Manager and led a bilingual team in a global environment with responsibilities that included managing distributors in US and Mexico. She brings extensive experience in Customer Service, Training, Exporting and Logistics. She has a passion for working with customers and helping them get what they need, when they need it. Debbie Speaks Spanish and has studied at DMACC, Upper Iowa University, Solexico Schools and The Spanish Experience Center in Mexico. She has an Export Certification from US Commercial Services and Iowa District Export Council. 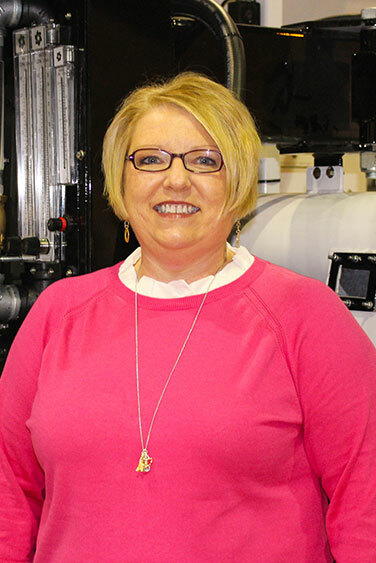 Prior to Kemin, Debbie worked at Agri Tech Bio/Agrimerica as an Operations Manager. In her spare time she enjoys traveling, studying foreign languages, and spending time with friends and family. 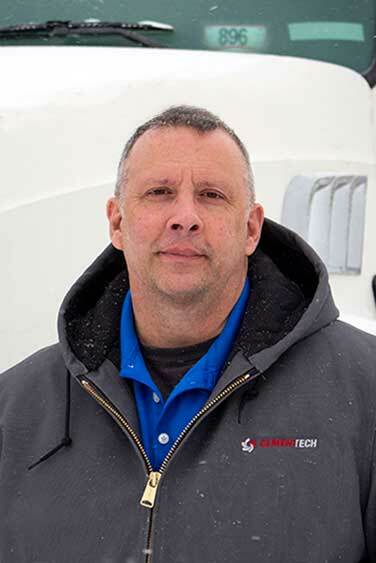 Phil joined the Cemen Tech service team in 2018. He enjoys being a service technician as to him, it’s about providing customer satisfaction and helping during start-ups and resolving issues. Prior to joining the team, Phil served in the U.S. Army from 1981 to 2013, along with the Iowa National Guard, with roles including Airborne Ranger, U.S. Cavalry Scout, and military police. He worked as a service technician for Harley Davidson following his military retirement in 2013. In his free time, Phil enjoys spending time with his two adult children, riding motorcycles, camping, and cheering for the Chicago Blackhawks, Chicago Cubs, and Iowa Cubs. 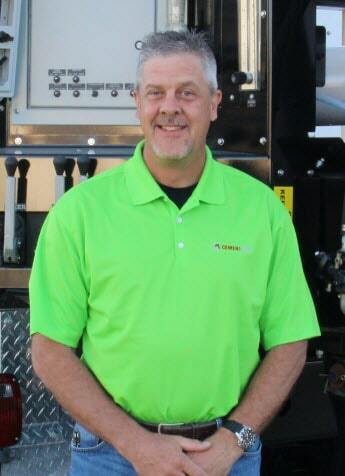 Originally from north central Nebraska, Drew Bryant grew up performing electrical, fabrication, and mechanical work. He attended college in Lincoln, Nebraska and worked in an auto parts store while also playing college football. In October 2018, Drew moved to Winterset with his wife and two children, and enjoys carpentry and spending time with his family in his spare time.